Jack Red's Hell: Which is the best Mercenaries mini game RE3, RE4, RE5 or RE6? Which is the best Mercenaries mini game RE3, RE4, RE5 or RE6? Hi everyone I'm Jack Red, I recently covered both Raid Mode of Revelations series. Now it is officially time to do one of the most difficult Resident Evil comparisons imaginable. Yes we're talking about The Mercenaries mini game series. I haven't got to play both The Mercenaries games not to be confused by an unrelated game series called The Mercenaries. In RE3, you play as three Umbrella mercenaries with the goal of reaching the end. Oddly set near the beginning of the campaign. 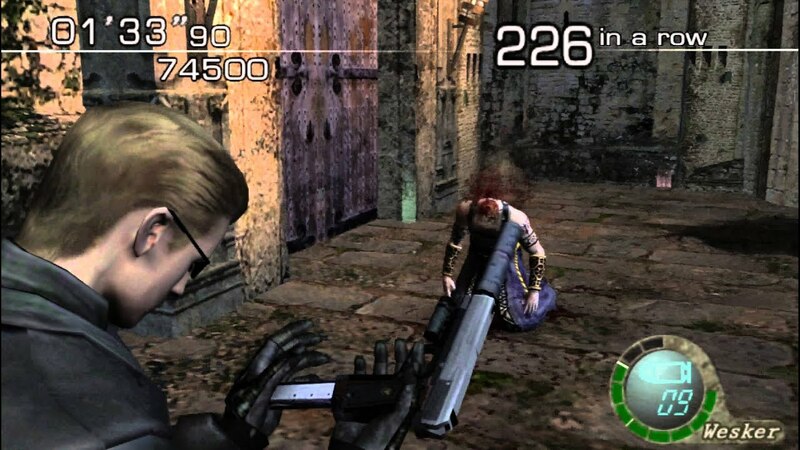 In RE4, you play as Leon, Ada, Hunk, Krauser and Wesker fighting off enemies for five stars. If you were able with all five characters getting all five stars on all four levels. 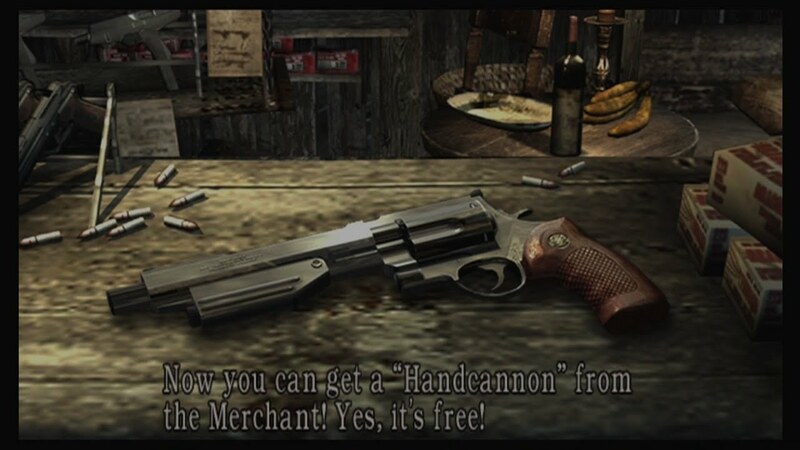 You unlock the handcannon for the campaign. Considering RE5 has so many characters I thought of a perfect way of displaying them all without making this too repetitive or too long to read. But I wish to cover Resident Evil 6's The Mercenaries before that. You play as Leon, Helena, Jake, Sherry, Chris, Piers, Ada, Agent and Carla. Your goal is simply score as best as you can within every level with every character. OMG right yes most of these are alternate versions of several characters. Yet all of them plays very differently from each other. This also implies to RE6 with other costumes having a different set up than their default costume's. You can change costumes in RE4 with a short code but it doesn't change up the experience. I hate to say it like this RE3 is out by default. RE4 is quickly fallen out of this category. I felt Resident Evil 5 overall has a more satisfying roster of characters. All of them have their strengths & weaknesses. Thankfully both RE5 & RE6 does allow another player to help you out. I should mention all those costumes Chris & Sheva wears in this also can be wore in the campaign. 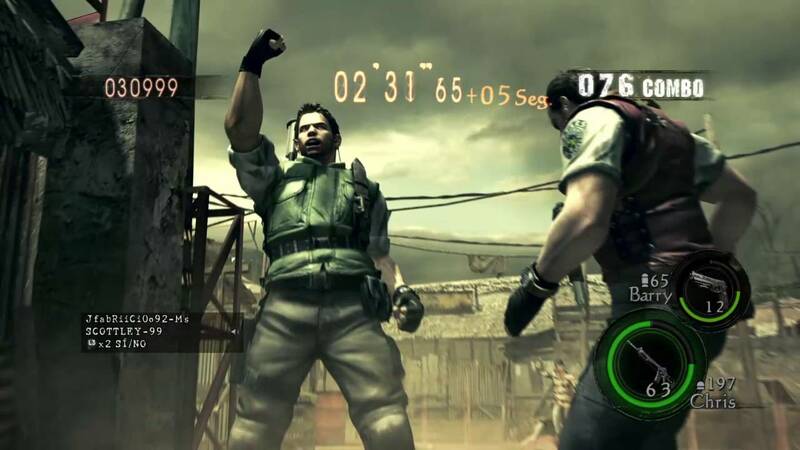 All four of The Mercenaries mini games has a timer that's counting down. For three of them, your goal is score big. For RE3, you have to dodge or kill enemies giving you more time. This got greatly expanded among with RE5. I felt RE6 simply did that even better. In most of them, you can collect clocks to increase time or clocks to help get more points during a combo. I felt the timer was pretty strict on RE3 while it was doable in the other three Mercenaries mini games. 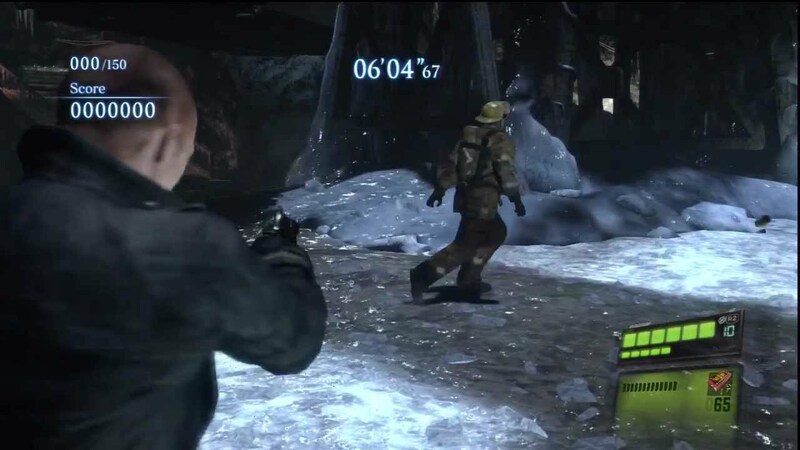 Honestly I felt RE6 did the best with the timer in general. You can very quickly built among that time limit giving yourself more than enough time to get S rank. Which would be am SS rank in RE5. Let's be honest most enemies in all of their games is present in their respective mini games. So I thought the best way determining which one uses the enemies the best. I decided to judge on bosses, basic enemy spawn areas and how some levels goes about it's difficulty. In RE4, after scoring enough whatever level you are playing on. The bosses of that level will spawn to come after you. It is possible to have multiple bosses present at the same time. Two boss characters can instantly kill you on the spot regardless of health. In RE5. mostly the same as RE4 with higher scores especially higher when playing with another person. 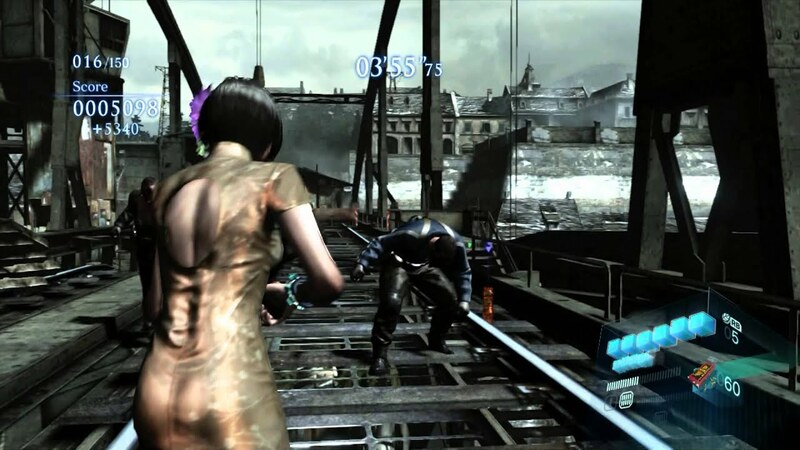 In RE6, among doing several conditions you can have hidden bosses to appear. This by itself does spice up the game play knowing you could be fighting both boss monsters on the same level. In RE3, some areas are a little random. Which means you could be dealing with zombies, cerberus or possibly two Nemesis creatures in the same area. I felt just between RE4 to RE6, the level are getting bigger. I know this is kinda awkward because RE3's is centered more going to the end within the time limit. You will be dealing with enemies very often in all of them. Of course when I made the decision I had no choice but consider The Mercenaries No Mercy. Simply removing RE3 and RE4 out of this round. Both RE5 & RE6 has this originally PC exclusive for pro players. They increased the number of enemies spawning, the number to complete it automatically increased. You have to play by yourself in this version. Going back to enemies spawning, this also affects the bosses after the first one appears. You have enemies surrounding around 75% of the time with little room to do anything. Yes I have to be honest Resident Evil 5 does have executioners & lickers in it's Mercenaries mini game. By default that's pretty difficult to over look folks. I should mention there is an alternate version of executioner that's tougher. I have to go with Resident Evil 5's The Mercenaries for this round. Some may feel like this isn't important. Honestly for some people it does make a difference. I will say before I go any further despite unlocking characters & levels in The Mercenaries for RE5 & RE6. It doesn't offer anything else leaving to their quick elimination in this round. Yes it is between RE3 & RE4's The Mercenaries. In RE4's The Mercenaries beyond unlocking the other four characters. You also unlock the handcannon for the campaign. You can go to the merchant to get it for free but all of it's upgrades are expansive. In comparison, you can unlock an unlimited rocket, launcher, unlimited submachine gun, unlimited gatling gun and infinite ammo. Yes all of that for the campaign after getting enough money to buy them all. You have to keep replaying attempting to get better at it to do so. By now you probably noticed both of them has the same problem. But it is three completed hidden weapons against one you have to get there yourself. So in that regard plus infinite ammo for the main game, this round goes to RE3. After much needed consideration The Mercenaries in Resident Evil 5 is easily the best experience. Sure it may not have the best time usage or unlockables outside the basic stuff. What it does have really made up for it. The Mercenaries United is the definitive experience. You get so much to work to keep you busy for possibly months.